1. 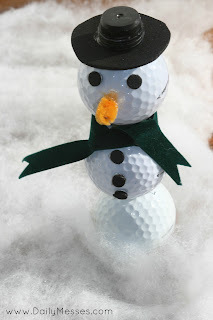 Hot glue the golf balls together, try to keep them on straight while it dries. 2. 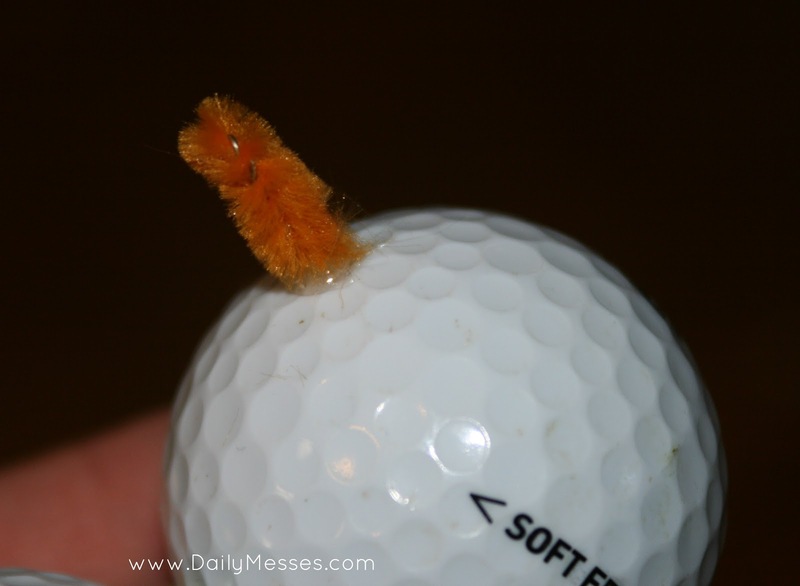 Glue the bottle cap to the bottom of a golf ball. You want the golf ball to sit straight in the cap. 4. Glue on the eyes on the top ball and buttons on the middle ball. 5. Cut a small piece of pipe cleaner and fold in half. Glue to the middle of the top ball for the nose. 6. Cut a thin strip of ribbon and tie around the neck (between the top and middle balls). 7. Cut a circle from the black foam sheet for the hat brim. Glue on top of head. 8. Finally, glue on black pom pom or bottom cap for the top of the hat. Use black felt instead of a foam sheet. Use a mini orange pom pom for the nose. 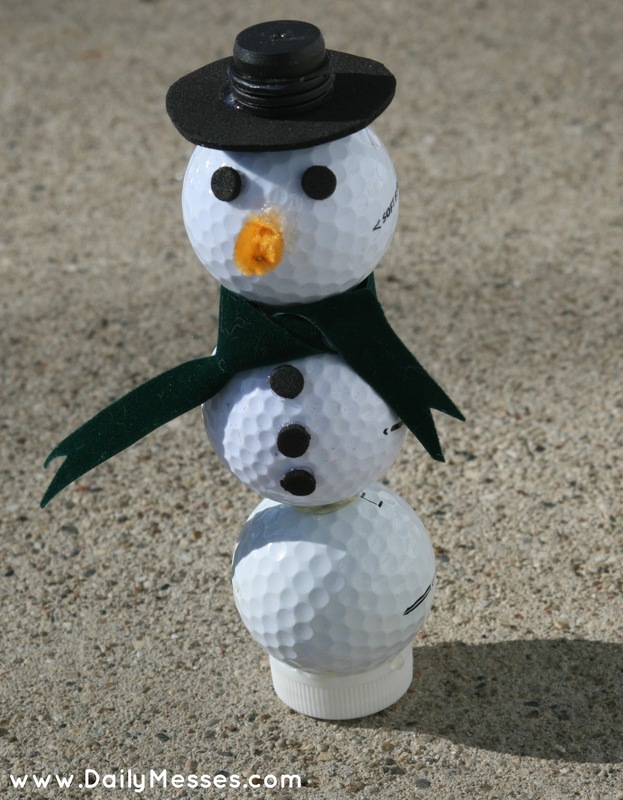 For a funnier snowman, use yellow golf balls.